An exclusive residential building offering a unique location that allows the full enjoyment of Lisbon is being developed on Avenida António Augusto Aguiar. The building combines comfort and essential amenities for those who value a central location and quality of life. 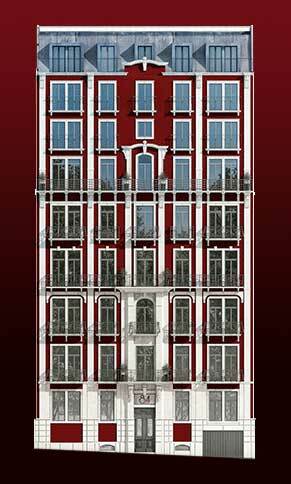 The Aguiar 84 project revitalizes a traditional, early 20th century Avenidas Novas building by keeping untouched the architectural beauty and elegance of its façade with its classical lines, wide windows and Juliette balconies. Fully dedicated to residential use, Aguiar 84 comprises 9 floors, three more than its predecessor, offering 19 spacious residences and 30 parking spaces.